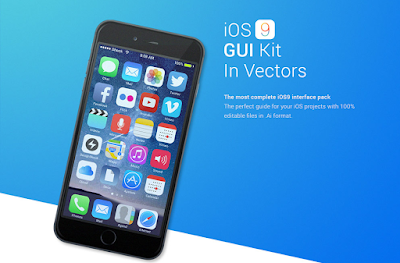 Friends, today I am happy to bring you this useful iOS 9 GUI kit in .AI vector format directly from Designshock. This pack includes tons of elements from the new iOS update from Apple. With their respective vector files and multiple signature elements from the operating system, this GUI kit is an stunning choice for web and app designers and most of all for Apple lovers. Cheers to Designshock for bringing this useful resource over here on GraphicsFuel.